Is Bitcoin, Ethereum Mining Still Profitable? Ethereum’s price has fallen 80% in the past eight months, while its hashrate has tripled to now 300 trillion per second. That means if your mining gear was earning $100 in December, it now earns only $2.5, showing just how brutal the mining business can be. However, much of the hashrate rise was probably due to asics, which for eth are only a few times more efficient than GPUs. So with new hardware they might perhaps be keeping up, but at a price of just $300 for one eth, some of them might be going under. According to a report on eth mining this March when the hashrate was at around current levels, a 94MH/s mining rig was earning $24 per week at the then prices of around $600. At today’s prices that would be $12. Their electricity cost was just $10, leaving still a profit of $2, but if we account for the hardware costs then it is probably at a loss. Morgan Stanley estimated in April that under a price of $8,600 per bitcoin, mining farms would not break even in two years. Bitcoin Mining estimate by Morgan Stanley. Their estimate is based on a super low electricity cost of just 3 cent. According to an electricity stats website, industrial electricity costs in China are at 4.8 cent. The estimate thus seems to be on a worst case basis, with it accounting for hardware costs. The latter might somewhat counter the rise in hashrate for bitcoin to now 52 quintillion. That’s because new asics cost around $1,000 too, so miners could replace new gear. Yet that asics cost is probably a retail cost. 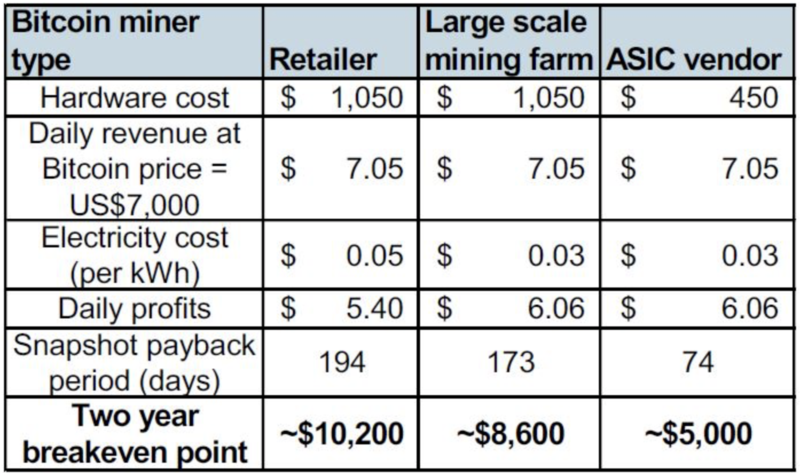 Mining farms are probably likely to buy in bulk on wholesale prices, so perhaps Asics vendor is a better estimate with some 10% leeway either way. That might suggest bitcoin miners are too now at risk of being at a loss. 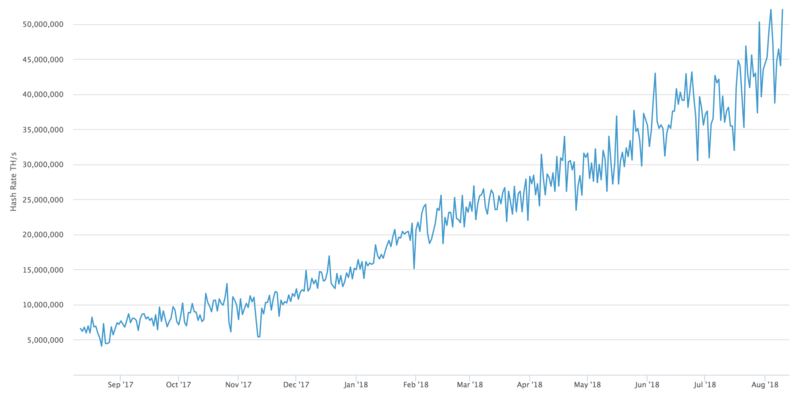 The hashrate, however, isn’t seeing any slowdown in bitcoin. According to estimates by an electricity company this April, one bitcoin costs only $3,000 to mine in China. That, however, might be just the electricity cost. As such, when accounting for the hardware and all the rest, an estimate of $5,000 might be more reasonable for bitcoin. That may mean miners are still just about in profit, but at risk of going under. Bitfury, for example, once accounted for some 10% or more of bitcoin’s hashrate. Now it stands at just 1.7%. BTCC too shares the same story, while F2Pool used to be at 20% or more. Now at just 8.5%. Bitmain’s two pools, instead, have taken those top positions, potentially because mining with your own manufacturing gear is still just about profitable. They say the two pools, BTC.com and Antpool, are actual pools of miners, with Bitmain claiming to have only 4% of bitcoin’s network under its own hardware. New asics, however, are making Bitmain’s gear somewhat outdated. That may mean new capital investment, which might dent any potential rainy day stash as miners start to feel the crunch.